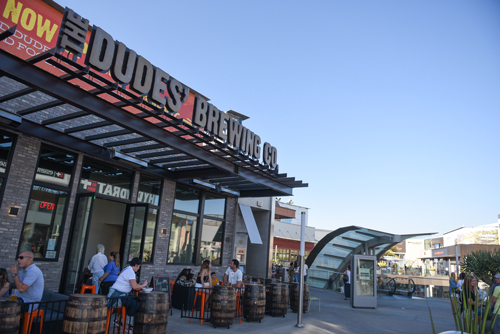 (SANTA MONICA, Calif., July 18, 2018) – The Dudes’ Brewing Company is pleased to officially open doors at Santa Monica Place. Located on the third floor of the center, the newest westside location features 27 rotating beers on tap, scratch made pizza and salads, and is the first of The Dudes’ five locations to offer local wines. Family owned and operated since 2013, The Dudes’ offers an innovative approach to classic beer styles. The unique roster of brews on tap truly highlight The Dudes’ specialty in utilizing innovative brewing techniques to craft classic beer styles. Fan favorites include the CalifornIPA®, Cerveza Lager Mexicana and JUICEBOX SERIES®: Blood Orange Amber Ale.To enhance the beer tasting experience, the Dudes’ food menu highlights new interpretations on classic pizzas, such as Margherita, Sausage Mushroom White, and Prosciutto Arugula, and salads, including Classic Caesar and Strawberry + Macadamia Nut Arugula salad. Wine aficionados will enjoy a variety of Pinot Noir, Red Wine, Rosé and Chardonnay selections alongside the beer connoisseurs. 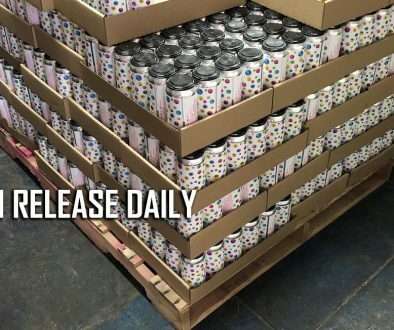 The new tasting room will host a regular schedule of special events ranging from yoga and beer mornings, trivia nights, comedy shows, and an acoustic music series. Grand opening celebrations will be announced soon. For more information about The Dudes’, visit thedudesbrew.com. The Dudes’ Brewing Company is a Los Angeles-based, family owned craft brewery founded in 2013. 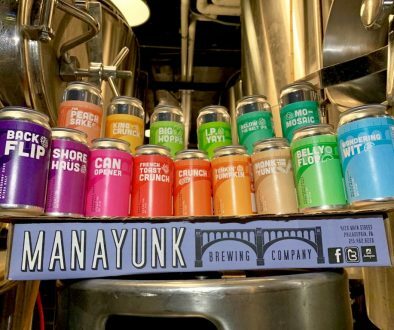 The Dudes’ specialize in innovative approaches to classic beer styles designed to appeal to casual beer drinkers and craft beer fanatics alike. Unique core brews include Double Trunk Double IPA, Grandma’s Pecan English Style Brown Ale, CalifornIPA and Juicebox Series: Blood Orange Amber. All of these beers and many more are available on tap at our tasting rooms in Torrance, Santa Clarita, Huntington Beach, Thousand Oaks, and in our newest spot in Santa Monica. 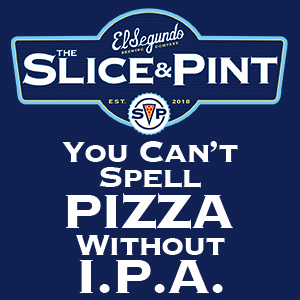 Located on the third floor in Santa Monica Place, this Westside location features 27 beers on tap, local wines, and scratch made pizza and salads. Located steps away from the Pacific Ocean in Downtown Santa Monica and adjacent to Third Street Promenade, the unique, all-outdoor Santa Monica Place is home to Bloomingdale’s, Nordstrom, Louis Vuitton, Tiffany & Co., Tory Burch, DVF, Hugo Boss, BARNEYS NEW YORK, Nike, dozens more shops and an inspired collection of restaurants and entertainment experiences including True Food Kitchen, The Cheesecake Factory, Sonoma Wine Garden, The Curious Palate, ArcLight Cinemas and more. Santa Monica Place also is home to a growing set of engaging, digitally native brands, such as b8ta, Ministry of Supply, Monica + Andy, Peloton and others. For more information, visit SantaMonicaPlace.com or access our Concierge services anytime via text: (310) 499-2928.